It’s funny how you can be surrounded by something and only notice it when it is pointed out to you. Ever had that experience? …well, Mick Dodge is doing just this with his invitation to us all to step out into the EARTHGYM. To get the movement (the natural movement) you need, everything you need, is just outside your door. Reading a recent Earthgym post, ‘Think Outside, No Box Required‘ I’m immediately reminded of the week I spent roaming the mountains in Chamonix, Switzerland, in 2006 – it was a completely spontaneous trip, I just knew I was yearning for outdoors, altitude, and something that would challenge me physically. My version of mountain walking was taking the cable car lifts up and walking back down. Some days it took me three hours, some days six, some days I just sat down where I was, usually completely alone on the trails and breathed in the beauty and peace. 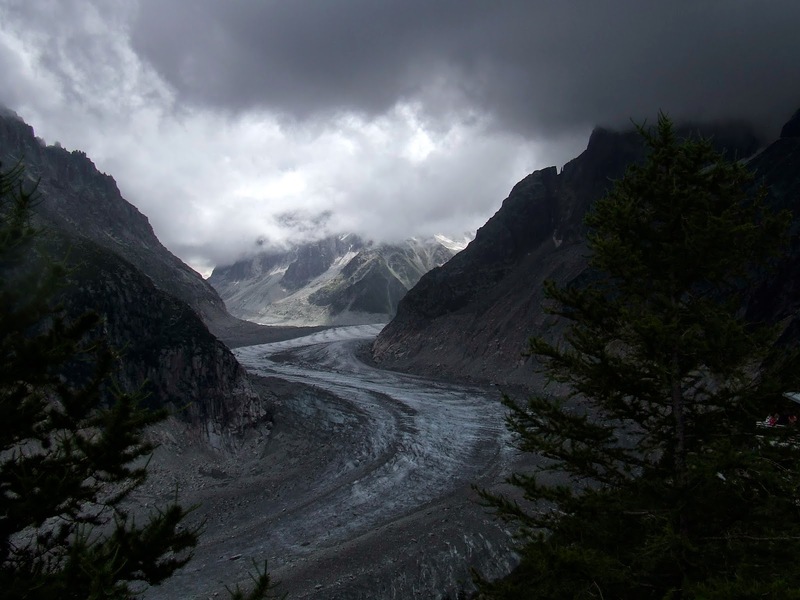 Mer de Glace, pretty dramatic at the top! It was a time when I could take everything in my stride (ahem) and it made me draw and write; sleep and wake early. 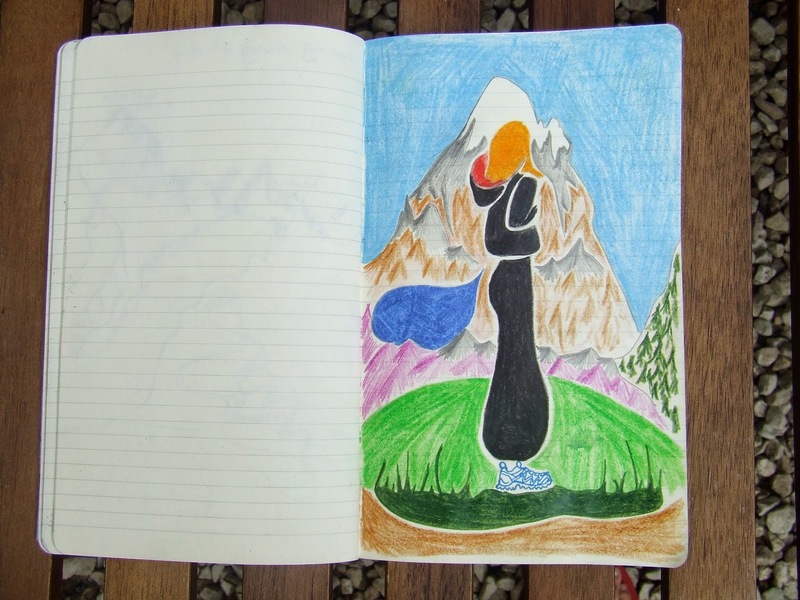 Here are some drawings I did after my walks in Chamonix. So let’s embrace the Earthgym… Earth, Wind, and Fire (anyone old enough to get it?!) – – – and, Water – – – so pleased to find this tribe.